Use back Arrow to return to thumbnails. 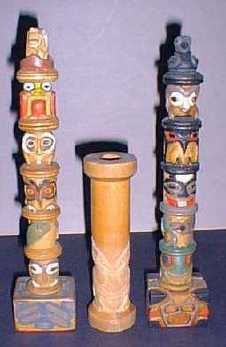 7.5 & 10.5 inches tall. 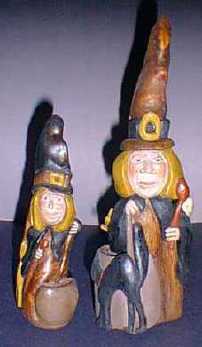 Halloween figures. 38 inches tall. Raven with Salmon. on Pendleton Woolen Mills spool. 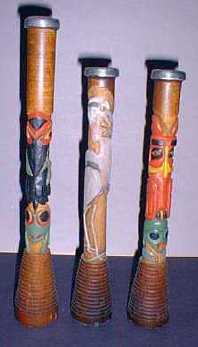 Middle Raven on rolling pin. 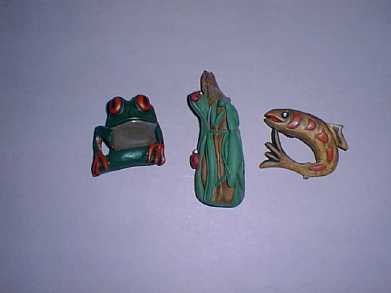 frogs carved on mahogany dowel. released sun from the box. Left is Raven and Frog. 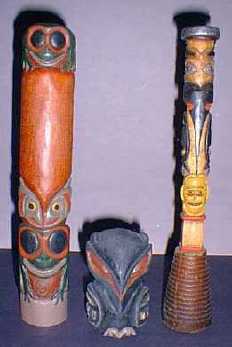 two salmon carved and left natural. 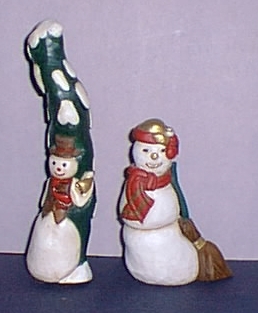 5.5 & 8.5 inches tall. Carved on cypress knees. 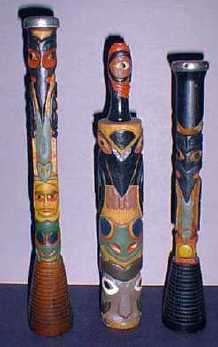 Salmon carved on cypress knees. 3 inches long. 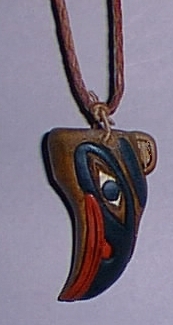 Pendant represents a raven. 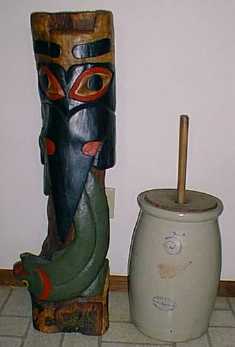 Mask carved on cypress knee.